Cambridge United Football Club is a professional association football club based in the city of Cambridge, Cambridgeshire. The club currently plays in League Two, the fourth tier of the English league system. The club was founded in 1912 as Abbey United, and took the name Cambridge United in 1951. 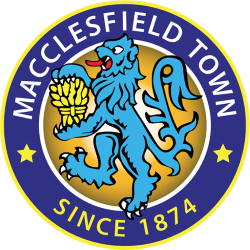 It first competed in the Football League in 1970, staying there until relegation in 2005. Football League status was regained in 2014, after nine seasons in the Conference National. 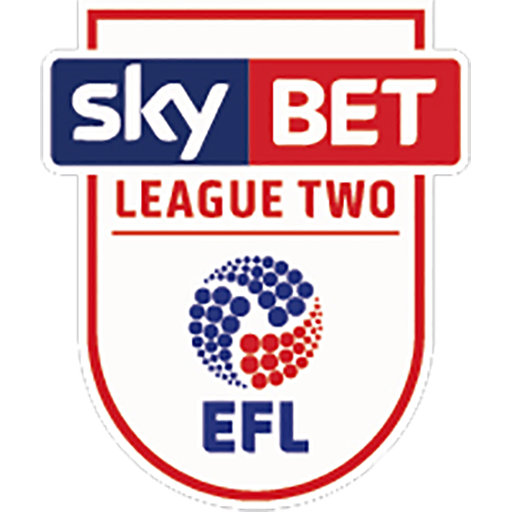 As of May 2017, they have played 38 seasons in the Football League: 8 seasons in the second tier (Championship), 9 seasons in the third tier (League One) and 21 seasons in the fourth tier (League Two). The Club's two spells in the league's second tier spanned from 1978 to 1984, and again from 1991 to 1993. They reached the quarter-finals of the FA Cup twice and Football League Cup once during the early 1990s, the club's most successful era to date. United's highest ever finishing place in the Football League is fifth in the original Second Division during the 1991–92 season, competing in (though losing) a season-ending four team playoff for the final promotion slot to the Premier League's inaugural season. 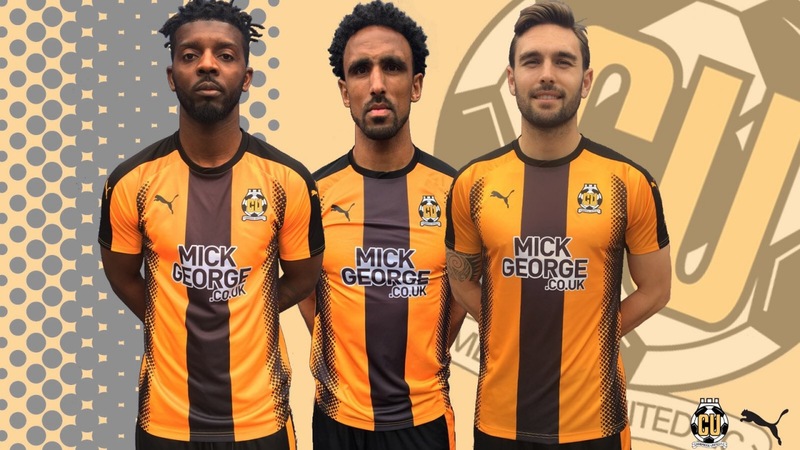 Although the club has traditionally worn amber and black at home, it has experimented with a number of designs of shirts including plain amber with black trim, amber and black squares, stripes and, amber with a black sash. The club had close links with Cambridge Regional College, a team that operated as a de facto reserve team between 2006 and 2014. The club was founded in 1912 as Abbey United, named after the Abbey district of Cambridge. 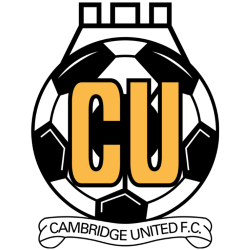 A club called Cambridge United existed in Cambridge from 1909, but it was not linked to the club that exists today. The club played in local amateur leagues for many of its early years, moving from ground to ground around Cambridge (see Stadium below) before settling at the Abbey Stadium. 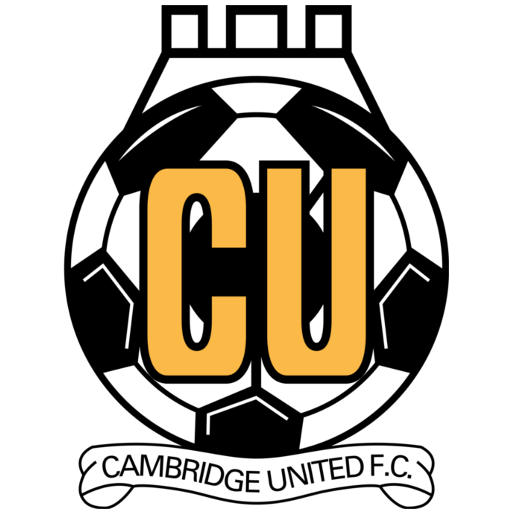 In 1949 the club turned professional, and changed its name to Cambridge United in 1951. They played in the Eastern Counties League until finishing as runners-up in 1957–58, which saw them promoted to the Southern League. 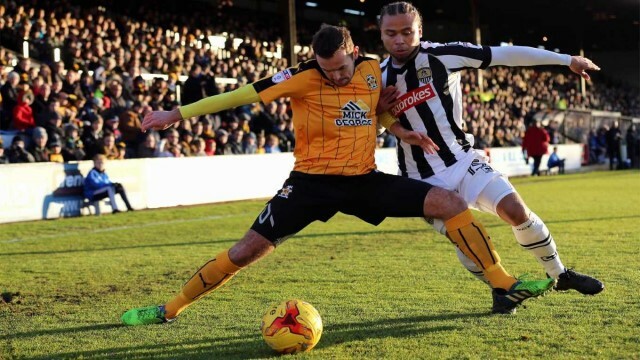 Three years later, Cambridge United reached the Premier Division of the Southern League. After election to the Football League in 1970, to replace Bradford (Park Avenue), the club was promoted from the Fourth Division after three seasons, but went straight back down. Following the appointment of Ron Atkinson as manager, Cambridge won successive promotions which took them into the Second Division in 1978 – a mere eight years after joining the Football League. Atkinson had gone to West Bromwich Albion, a First Division club, in January 1978, and was succeeded by John Docherty, who oversaw the second promotion. Cambridge peaked at eighth place in the Second Division in 1980. However, a terrible season in 1983–84 (setting a league record for most successive games without a win, 31, which was surpassed by Derby County in 2008) was followed by a further relegation in 1984–85 (equalling the then league record for most losses in a season, 33). 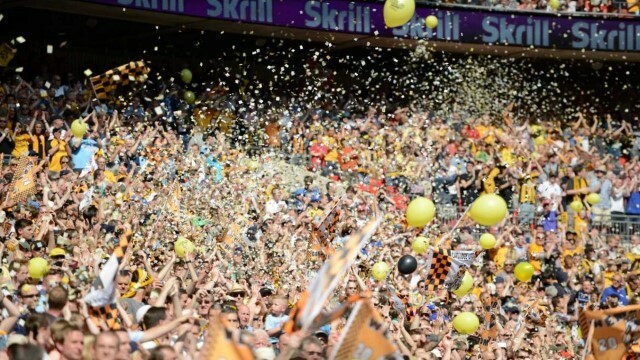 These successive relegations, which also had a negative affect on the club's attendances as well as its finances, placed Cambridge back in the Fourth Division, the lowest professional league in English football at the time. 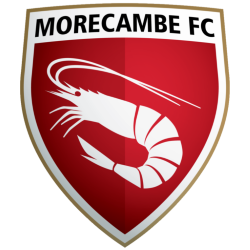 They had to apply for re-election in their first season back in the Fourth Division, and promotion would not be achieved for another four years. The early 1990s was the U's most successful period. Soon after the appointment of new manager John Beck, the club won the first ever appearance as a professional club at Wembley Stadium, the Fourth Division playoff final in May 1990, which secured promotion to the Third Division – the club's first promotion for 12 years. Dion Dublin scored the only goal in a game against Chesterfield. Under Beck, United gained promotion from the Fourth Division and had already reached the FA Cup quarter finals in 1990, and reached them again a year later, and winning the Third Division in 1991. United reached the play-offs in 1992, after finishing 5th in the Second Division, but failed in their bid to become founder members of the Premier League. This was the club's highest final league placing to date. The following season the club sacked John Beck and were relegated from the new First Division. Further relegation followed two seasons later. United returned to Division Two but were relegated in 2002 despite a successful run in the LDV Vans Trophy which saw them reach the final which they lost 1–4 to Blackpool at the Millennium Stadium in Cardiff. In 2005, after 35 years in the Football League, Cambridge United were relegated into the Football Conference. This brought with it financial difficulties and the club filed for administration on 29 April. 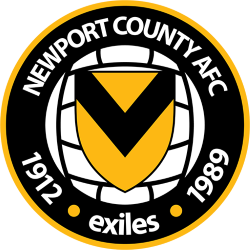 On 22 July 2005 the club came out of administration with a deal being struck with HM Revenue and Customs at the eleventh hour after the intervention of then sports minister Richard Caborn. Cambridge had sold their Abbey Stadium home earlier in the season for £1.9 million to keep the club afloat. After signing several respected and experienced players at the non-league level in the following close season Quinn led Cambridge to their then longest ever unbeaten start to a season (2007–08), which stretched to twelve games. Off the field, United reported several major sponsorship deals which seemed to point towards increased financial security. Halfway through the season the chairman, Lee Power, resigned. He was replaced by Wayne Purser. United finished the season in 2nd place, qualifying for the play-offs. They beat Burton Albion in the semi-final, 4–3 on aggregate, but lost 1–0 to Exeter City in the final, played at Wembley Stadium. Following the play-off defeat many players left the club, culminating in the departure of manager Jimmy Quinn. Quinn was succeeded by former Southport manager Gary Brabin, who appointed Paul Carden as player-assistant manager. United finished the 2008–09 season again 2nd in the league, and also again reached the play-off final, overturning a 3–1 deficit to beat Stevenage Borough 4–3 on aggregate in the semi-final; however, they were beaten again at Wembley Stadium, 2–0 by Torquay United. 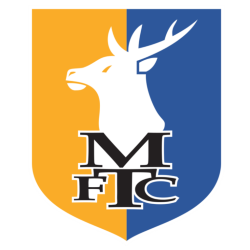 Brabin was named as the Conference's Manager of the Season, but was sacked in the close-season after reportedly falling out with the chairman. He was replaced by Martin Ling, who resigned just eight days into the job, before the start of the 2009–10 season and was followed days later by chairman George Rolls. The new board re-appointed Ling as manager the following week. Cambridge finished Ling's first season in 10th place – not enough for a playoff place. The following season, on 6 January 2011, with Cambridge in a similar position to where they finished the previous season, the club's owners put the club up for sale citing the need for new funds to take the club forward. Despite interest being expressed from a number of parties, no new owner has yet been found. Later the same month, the club's landlords Grosvenor Group revealed the plans for a new community stadium, including potential new locations both within the city and outside it. At the start of 2011 Martin Ling was removed from his position as manager and replaced on a temporary basis by CRC manager Jez George. He managed to steer the club towards safety, finishing 17th, which led to George's role being made permanent. After having rebuilt the squad with players from the club's youth system and with astute signings in Harrison Dunk and Tom Shaw, George managed to lead Cambridge to a 9th-place finish, a huge improvement on their previous season. As well as the league, Jez George also took Cambridge to the quarter-final of the FA Trophy (which was the furthest they had got at the time), but lost 2–1 at home to minnows, Wealdstone. 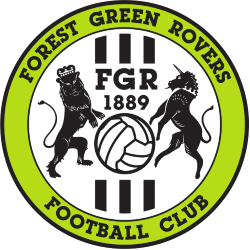 Eleven games into the following season Jez George became Director of Football, and Richard Money was announced as the new head coach of the club. The club spent much of the season in mid-table, finishing in 14th position with 59 points. The squad was greatly revamped, and United started 2013–14 with a record-breaking 16 games unbeaten. Cambridge finished the season in second place, qualifying for the play-offs. After beating Halifax Town 2–1, on aggregate, in the semi-final, they won 2–1 against Gateshead in the final, held at Wembley Stadium, gaining promotion back to the Football League after a nine-year absence. The club also reached their first FA Trophy final, held at Wembley Stadium, where they beat Gosport Borough 4–0. 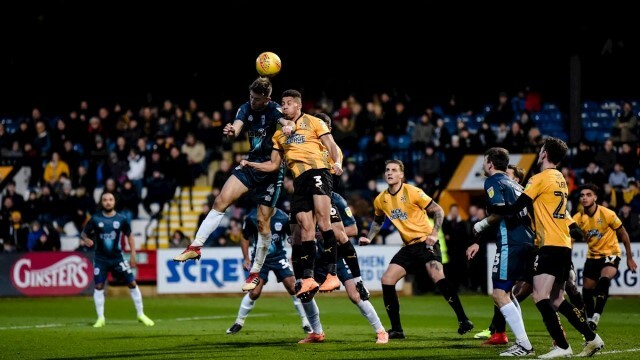 In their first season back in the Football League, Cambridge United progressed to the fourth round of the FA Cup, where they drawn at home to Premier League team Manchester United. The match at the Abbey Stadium ended in a goalless draw, forcing a replay at Old Trafford, which Manchester United won 3–0. In the league, Cambridge finished 19th with 51 points, 10 points above the relegation zone. 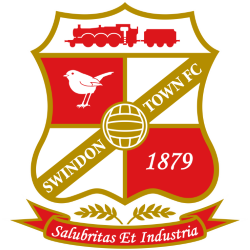 The following season started poorly, and Richard Money was sacked in November 2015, to be replaced by Shaun Derry the same month. A six-match unbeaten run saw Derry win the League Two Manager of the Month award for December 2015, and the U's finished the league in 9th place with 68 points. They finished 2016–17 season in 11th place, in a season that took in extended runs of both good and poor form. 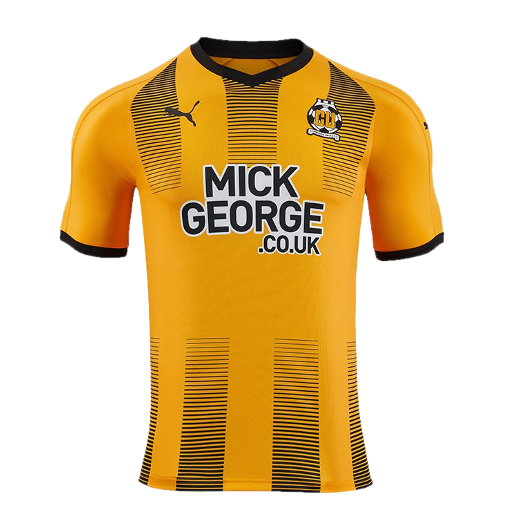 Cambridge United have traditionally worn amber and black home kits in a variety of designs, including plain amber with black trim (e.g. 1979–1991), amber and black quarters (1996–1998 and halves (e.g. 1924–25), and a variety of stripes (e.g. 1926–1936. Only between 1957–1960 and 1970–1972 have shirts not been predominantly amber, when the club opted for white with a small amber and black detail on the shirt's sleeves. Away from home, kits have often been white with some amber and/or black detail, although recently shirts have been blue at the request of the away shirts sponsors, Kershaw. A sponsor first appeared on a Cambridge United shirt for the 1985–86 season when the shirt was changed mid-season from plain amber to amber and black stripes. Spraymate were the club's first shirt sponsor, and have since been followed by an array of local and national companies: Lynfox, Howlett, Fujitsu, Beaumont Stainless Steels, Premier Travel, C and R Windows, Quicksilver (couriers), Capital Sports, The Global Group, Haart, Global Self Drive, and in 2009–10 Greene King IPA. The teams kits have been manufactured by a number of companies, with Admiral providing the first strip on which a maker's logo appeared. The club have subsequently worn kits created by, among others, Nike, Patrick, Sporta and, Vandanel, with the latter providing the strip for the 2007–08 season and subsequently an amber shirt featuring a dramatic black sash design that polarised the opinions of fans. In the summer of 2010 the Club parted company with Vandanel, citing concerns regards the company's ability to continue to service their needs, signing a deal with Italian company Erreà. For the start of the 2013–14 season, The U's signed a deal with Genesis Sports to provide Puma teamwear for the club. This deal has been continued into the 2014–15 season and saw the home shirts make a return to amber and black stripes. 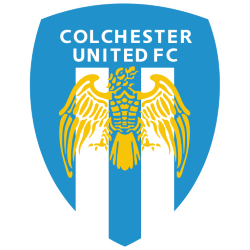 The club's current crest, a large football over which the letters 'CU' are emblazoned, with three turrets on top, has been worn on its shirts since the 1986–87 season, with a brief change to a more 'elaborate' design between 1996 and 1998. Previously, shirts had simply been embroidered with the club's acronym 'CUFC' or a 'Book & Ball' badge used during the late 1970s. The club used a special badge to commemorate their centenary in the 2012–13 season. 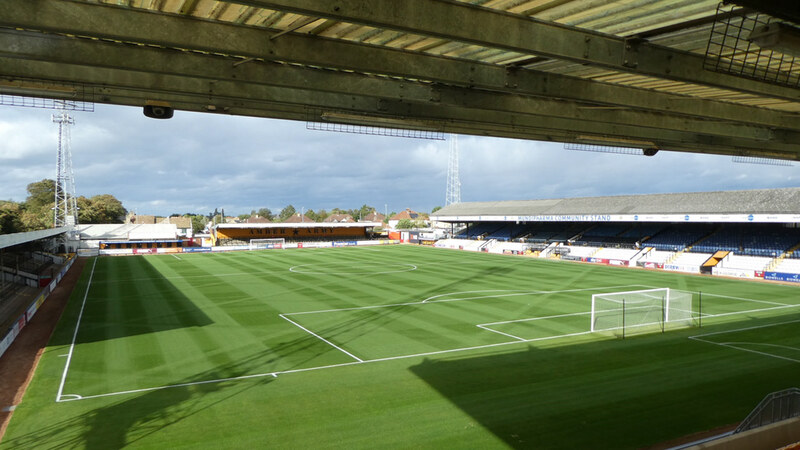 Cambridge United currently play their home matches at the Abbey Stadium, which has been their home since 1932. The stadium is located in the Abbey area of the city on Newmarket Road, approximately 3 kilometres (1.8miles) east of the city centre. The closest railway station is Cambridge North, which is located about 20 minutes' walk away. Due to sponsorship reasons, between 2009 and 2016 the ground was also known as The R. Costings Abbey Stadium and is currently officially named the Cambs Glass Stadium. The stadium currently has a capacity of 8,127, of which 4,376 are seated. Before opening the Abbey with a victory over Cambridge University Press in a friendly on 31 August 1932, United had played matches at a number of venues around the city. When playing under the Abbey United name, games were played on Midsummer Common until the outbreak of World War I. When the war ended, the club moved to Stourbridge Common and, after promotion to the Cambridgeshire League Division One in 1923, moved once again to land just off Newmarket Road in Cambridge. This ground, affectionately known as the 'Celery Trenches' due to the poor state of the pitch, was christened with a 1–0 league victory over Histon Institute and became United's home for a decade. While based at the Trenches, the club established its offices at the 'Dog & Pheasant' pub on Newmarket Road, which it used as an away dressing room on matchdays, as well as a store for equipment including the pitch's goalposts. However, the Cambridgeshire FA were unhappy with the state of the pitch at this new home, and the club moved to Parker's Piece at the start of the 1930–31 season. Despite the special significance of Parker's Piece in the history of football, it being the first place where the Cambridge Rules were played out, the lack of spectator capacity and disruption caused during games meant this move was not a successful one. In January 2006, John Howard announced plans to move out of the Abbey Stadium to a new purpose built stadium in Milton. This was supported by Cambridgeshire Horizons. These were criticised by fans as risking the club's identity by moving out of the city and, despite Howard describing them as crucial to the club's future, little else was heard of them publicly. Subsequently, a new community stadium, that would also include conference facilities, was ruled out by a Planning Inspector's report which described it as unsuitable development in the green belt and in October 2009, Cambridge United announced its intentions to redevelop the Abbey Stadium with chairman. The Stadium was sold by Bideawhile to Grosvenor Estates in June 2010. Soon after, the new landlords, in combination with the club and supporters group Cambridge Fans United, announced that they had signed a Memorandum of Understanding to positively work together to achieve the relocation of the club to a new stadium. In January 2011, plans for a new community stadium were unveiled at an open meeting, including potential new locations both within the city and outside it. In September 2011, Grosvenor Estates announced that they, in partnership with property firm Wrenbridge had managed to cut down the potential sites to just two, both on greenbelt land. This was later cut to one, Trumpington Meadows, to the South West of the city. They revealed they plan for the new community stadium to be an 8,000 seated and terraced stadium to be built within a new Cambridge Sporting Village incorporating housing and retail development with the stadium as the focal point. However, objections from residents and local councils saw the proposal blocked in 2013. Plans announced in January 2015 keep the sporting village development at Trumpington, but without the new stadium. Instead Cambridge United will redevelop the Abbey Stadium. In May 2015, Grosvenor had released their first sketches of potential designs for the redeveloped stadium, with plans to change the name to the Cambridge Community Stadium. At present, the main plans are to increase the capacity in the Newmarket Road End to 3,500 and to introduce safe standing. The new design will also include community facilities for public use. The Habbin Terrace will also be completely redeveloped, which will see it become fully seated and expanded as well. The main stand will also be expanded slightly and redeveloped.